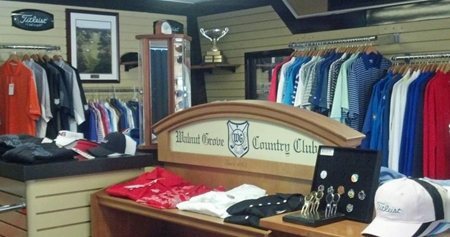 The Golf Shop at Walnut Grove offers a full line of golf equipment, shoes, golf balls and apparel from most major brands for all of your golfing needs. If we do not have it in stock we can special order it for you. Members receive a 15% discount on soft goods and a 25% discount on soft good purchases over $150.00. 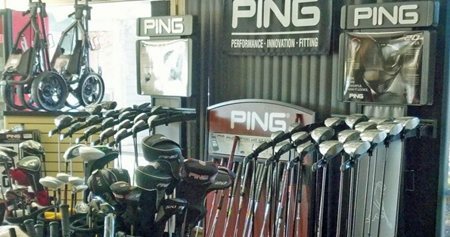 Also available from the golf shop: custom club fitting (certified Titleist & PING club fitters), club repair, demo clubs, and gift certificates for golf, merchandise, and lessons. Our practice facilities include two putting greens, bunker area, pitching green and driving range with multiple target areas. For more info on lesson options and pricing, Junior Golf Clinic and all other Golf Shop services, contact Head Pro Brian Tyra or Assistant Pro Ben Stewart at (937) 253 6451. 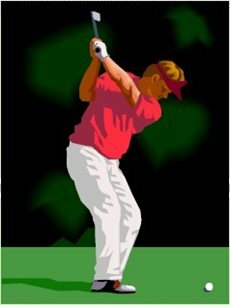 We offer a variety of lesson options to make the game more enjoyable for everyone. Our professional staff is experienced in teaching all levels of golf. From beginners to low handicappers, we can help improve your overall game. A good scoring chance right out of the gate and you don’t need to hit driver off the tee. The fairway slopes hard from right to left. Avoid the front left greenside bunker to take advantage of a scoring opportunity. This hole is as straight as it gets, but it’s not an easy hole. It’s a downhill tee shot with a fairway that runs hard from left to right; out of bounds runs the entire way down the right side. Hit your approach long and you will be faced with a tough uphill blind pitch. Simply as picturesque as a Par 3 gets! Water comes into play on the entire left side of the green, and out of bounds is close on the right. Wind direction often requires more club than the yardage indicates. Give it everything you have! Longer hitters will need two of their best shots to get home in two on this slight dogleg left. Everyone else should play it as a three-shot hole to the green to have the best chance at par. It’s a tough uphill tee shot to a green that plays a club and a half longer than the yardage. Avoid the right side green bunker, as the green runs hard right to left as well as downhill, making a bunker shot an adventure! A slicer’s dream! 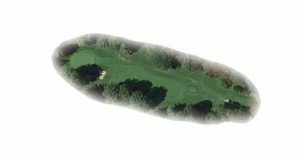 This is a dogleg right reachable Par 5. The green runs right to left, so a well-positioned approach shot is critical to make par. A slight dogleg left with an uphill second shot. Bite off as much of the corner as you can on the drive to give yourself a shorter approach shot, leaving the ball below the hole on this back to front sloping green. Small rolling hills in the fairway often lead to an uphill or downhill lie on the second shot. Everything bounces left and your approach shot must reach the green. Any shot that is short usually stays short with the possibility of rolling back down the hill. This hole runs uphill all the way but a good drive will increase your chances of reaching the green in two. 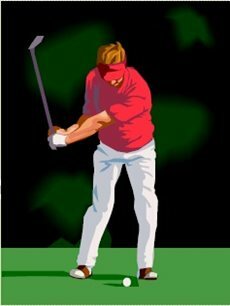 The green breaks right to left and back to front, so you must leave the ball below the hole to have a good chance at par. A picturesque downhill drive with one of the prettiest views on the course. Out of bounds runs the entire left side of the hole; trees line the right side. You’ll need to avoid the rough crossing the fairway to have any chance at par. “The Bear” – one of the hardest holes on the course. Over 400 yards from all tees with no hazards and out of bounds down the entire left side. The approach shot plays at least one club longer than the yardage. You must leave the ball below the hole on your approach shot, as the green is one of the toughest on the course. This hole plays as a Par 5 for the ladies. A good birdie hole! Land it on the green or get your wedge out for an uphill chip shot. Avoid the front right side bunker or you’ll risk not making par. A short Par 4 that offers another birdie opportunity. 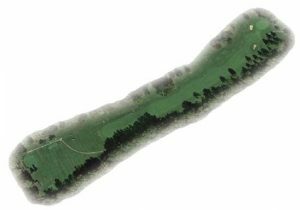 You must land in the fairway to have a good shot at finding the green; water guards part of the front and the entire right side of the green. A good drive will give you a shot at making birdie on this narrow, slightly uphill Par 4. The fairway narrows in the tee shot landing area. This hole features a small green that slopes severely from back to front. This hole is a short dogleg left with a blind tee shot. It’s a draw hitter’s dream as drives in the fairway will run downhill, leaving a good opportunity to reach the green in two. But be careful – two greenside bunkers can turn this birdie opportunity into an unwanted bogey. Make sure you check the mirror on the tree before teeing off. Number 16 is a very reachable Par 5 with a blind dogleg left uphill tee shot. Enjoy another great view from atop the hill all the way down to a green guarded by bunkers on the right and left. This hole offers a birdie opportunity for players with a good drive and nice second shot. Ladies tee off from the top of the hill and the hole plays as a Par 4. Number 17 is the hardest Par 3 on the course, running uphill all the way – adding two clubs to the yardage. Front and left greenside bunkers force you to carry the ball onto the green or land short of the green and depend on your wedge play. The green runs hard right to left and back to front, making putting a challenge. 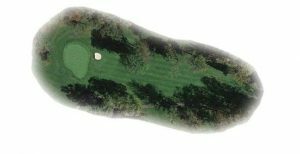 The short finishing hole has a large tree that protects the middle of the fairway. Out of bounds lurks on the right side tree line. Avoid the fairway bunker on the right for a good shot at birdie. Greenside bunkers left and right should not be a problem – this hole has the flattest putting green on the course. Good scoring chance out of the gate. Don’t need driver off the tee. Fairway slopes hard right to left. Avoid front left greenside bunker to take advantage of scoring opportunity. As straight at it gets, but not an easy hole. Downhill tee shot with fairway running hard from left to right. Out of bounds runs the entire way down the right side. Hit your approach long and you will be faced with a tough uphill blind pitch. Simply as picturesque par 3 as it gets. Water in play on entire left side of green, out of bounds close on the right. Wind direction often requires more club than yardage indicates. Everything you got! Longer hitters will need two of their best shots to get home in two on this slight dog left. Everyone else should play it has a 3 shot hole to the green to have the best chance at par. A tough uphill tee shot to a green that plays a club and a half longer than the yardage. Avoid right side green bunker as green runs hard right to left and downhill making the bunker shot an adventure. A slicers dream! Dog leg right reachable par 5. Green runs right to left so a well positioned approach shot is critical to making par. Slight dog leg left with uphill second shot. Bite off as much of the corner as you can on the drive to give yourself a shorter approach shot leaving the ball under the hole on this back to front sloping green. Rolling small hills in fairway often leads to an uphill or downhill lie on the second shot. Everything bounces left. Approach must get there. Any shot short normally stays short with the possibility of rolling back down the hill. Longest 380 yard par 4 you will play. Hole runs uphill all the way and a good drive will increase your chances of reaching the green in 2. 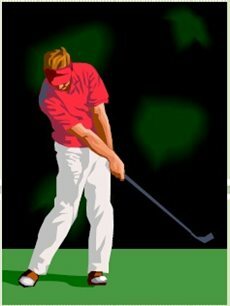 Green breaks right to left and back to front so you must leave the ball below the hole to have a good chance at par. The picturesque downhill drive is one of the prettiest views on the course. Out of bounds left the entire hole with trees lining the right side. Must avoid the uncut rough crossing the fairway to have any chance at par. “The Bear” appropriately named. 440 yards of golf hole with no hazards. Out of bounds down the left. Approach shot plays at least a club longer than the yardage. Must leave the ball under the hole on approach shot as green is one of the toughest on the course to putt. Plays as a par 5 for the ladies. Good birdie chance here. Carry it on the green or get your wedge out for an uphill chip shot. Avoid front right side bunker or risk not making par. Another birdie opportunity on this short par 4. You must find the fairway to have a good shot at finding the green with water guarding part of the front and full right side of the green. A good drive provides the opportunity to make birdie on this narrow slightly uphill par 4.Fairway narrows in the tee shot landing area. Small green slopes severely from back to front. Short dog leg left with a blind tee shot. Draw hitters dream as drive in fairway will run downhill leaving a good opportunity to reach the green in 2. Two greenside bunkers can turn this birdie opportunity into an unwanted bogey. Make sure you check the mirror before teeing off. Very reachable par 5 from a blind dog leg left uphill tee shot. Another great view from atop the hill down to a green guarded by bunkers on the right and left. Good birdie opportunity with a good drive and second shot. Plays as a par 4 for the ladies. Hardest par 3 on the course. Runs uphill all the way adding two clubs to the yardage. Front and left greenside bunkers force you to carry the green or play short of the green and depend on your wedge play. Green runs hard right to left and back to front making putting a challenge. A tough hole. Short finishing hole with a large tree protecting the middle of the fairway. Out of bounds lurks on the right tree line. Avoid fairway bunker for a good shot at birdie. Greenside bunkers left and right should not be a problem. Flattest putting green on the course. The MGA fee of $110.00 permits members to enter events on Wednesdays, Saturdays and Sundays and share in the awards. This fee also covers the yearly handicap fee ($35.00). Men who play with another MGA member on Wednesdays are automatically included no matter what time they play. To participate on Saturdays and Sundays, play must be during the posted tee times. The MGA events begin with the Opening Day tournament and conclude with the Closing Day tournament. During this span of time, events will be held on those days every week, except during special events and when riding carts are not permitted on the course. The winnings for these events will be added to your credit book and may be used to purchase merchandise in the Golf Shop. The MGA events are listed on the club calendar. 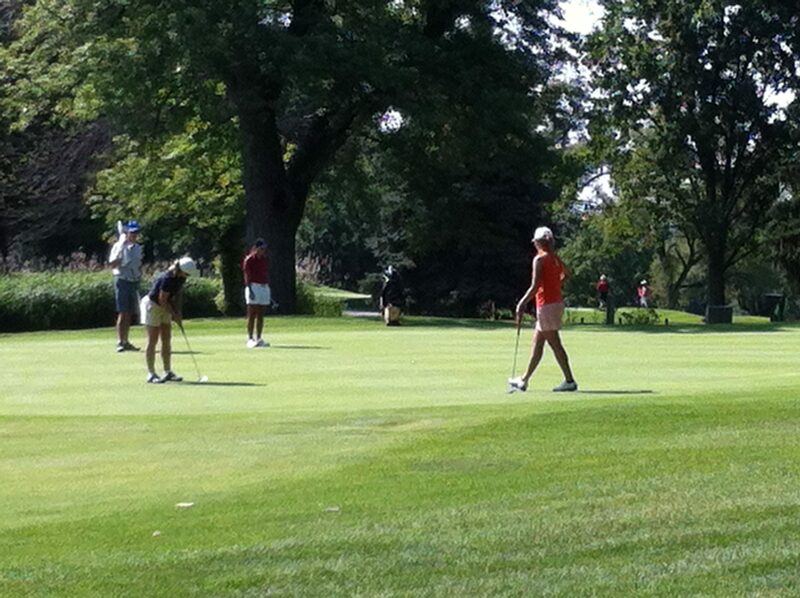 The Women’s Golf Organization offers four groups to play with to win awards. The $45.00 WGO fee covers playing in all four groups. 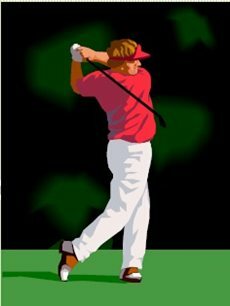 As long as you play with another WGO member, you may participate in 18-hole play on Tuesday mornings, Saturdays (minimum of eight participants) or Sundays (minimum of twelve participants); 9-hole play is held on Tuesday evenings. The WGO events begin with the Ladies’ Opening Day tournament and conclude with the Ladies’ Closing Day tournament. Tuesday morning play with tee times is conducted between 8:00 and 9:00 AM. Tuesday evening 9-hole play with tee times is conducted between 4:00 and 5:30 PM. The winnings for the WGO events will be added to your credit book and may be used to purchase merchandise in the Golf Shop. All WGO events are listed on the club calendar. Additionally, a $35.00 handicap fee is automatically charged to all ladies each spring.